Pro Men's DVD #1 on Blu-ray. The other Pro Men's Classes are on a second DVD, GMV-997DVD. Enjoy the full coverage of this incredible display of skill, power and strength. Split over two days, the competitors battled it out over five incredibly heavy and stressful events. Hafthor Julius Bjornsson of Game of Thrones fame is more than just a character in the movies. “The Mountain” has just shown the world how strong he really is as he emerged the winner of the 2018 Arnold Strongman Classic. This DVD is also available on regular DVD as well as on Blu-ray DVD. The other Pro Men's Classes will be in Pro Men's DVD #2. GMV-997DVD. 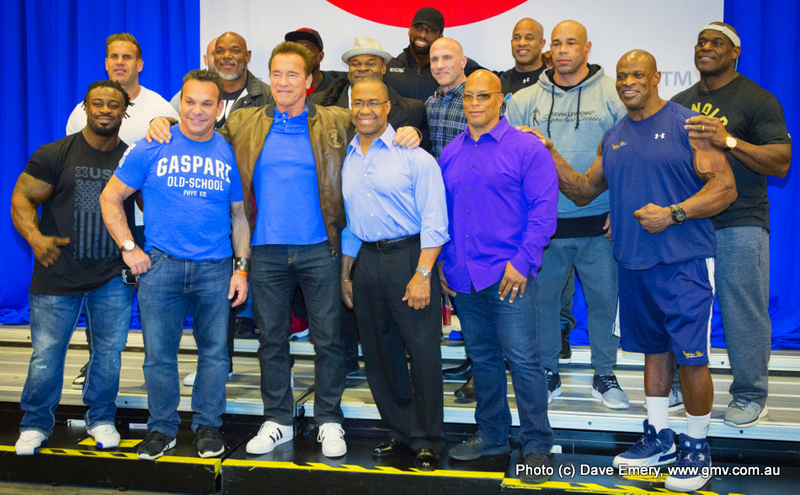 This 30th Anniversary DVD presents all of the Arnold Classic contest from the Prejudging rounds through to the Finals of the Arnold Classic Pro Men. See the presentation of the Lifetime Achievement Award to Dr Bob Goldman by Arnold. Introduction of the Arnold Model Search contestants and the Overall Arnold Amateur Champions.